Create a daily routine to achieve denser looking hair at home. By combining the super serums Denser Hair and Thicker Hair with this adapted hair care routine for coloured hair, your hair will achieve an ultra density effect. This kit contains a shampoo and conditioner for daily use and a Mousse that lifts the hair at the root to give a volume boosting effect. 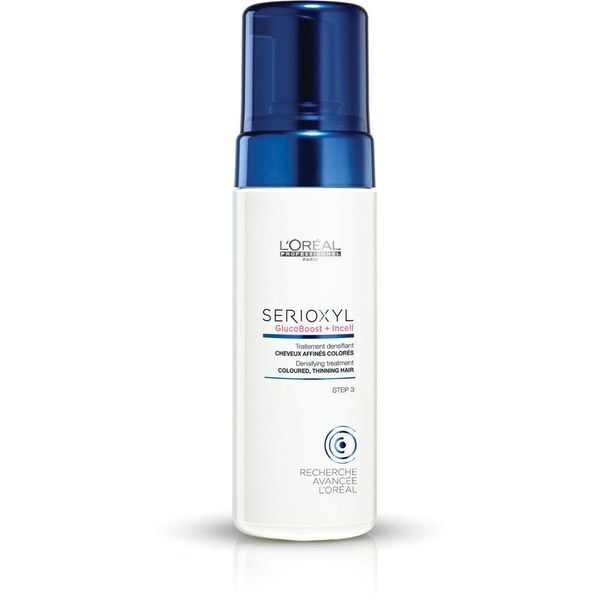 Serioxyl Shampoo 2 - Coloured Thinning Hair is a clarifying shampoo, leaving hair looking fuller and thicker. Specifically designed for coloured thinning hair. Formulated with Glucoboost technology, Serioxyl Shampoo 2 - Coloured Thinning Hair targets the roots with a derivative of omega 6. The hair is left bodified and ready for further steps in your hair thickening routine. The first step in the anti-thinning system. Apply evenly to wet hair and scalp. Use a massaging action to lather and stimulate microcirculation of the scalp. Rinse. 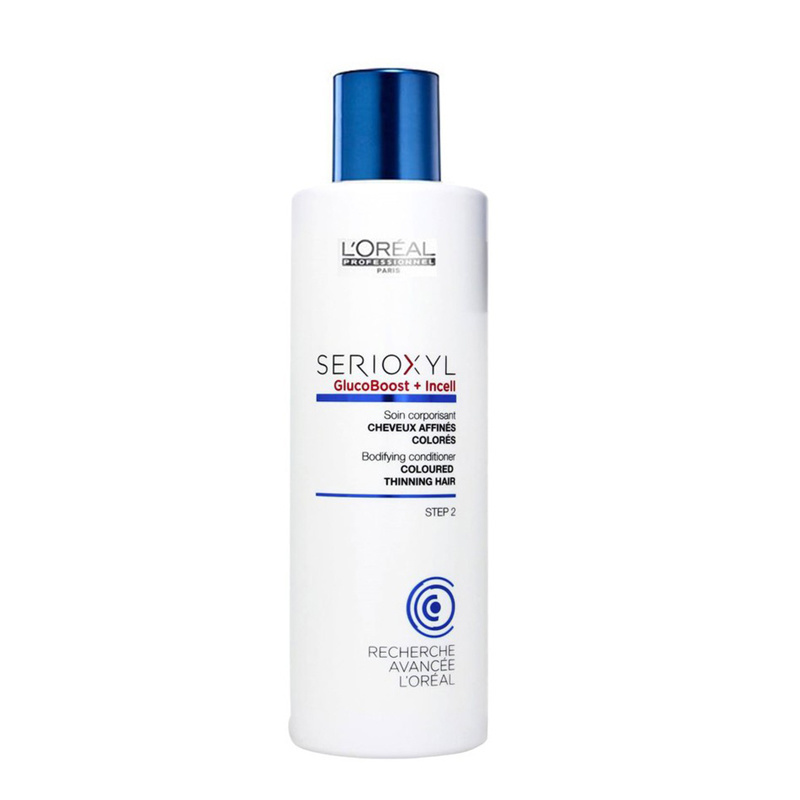 Serioxyl Conditioner 2 - Coloured Thinning Hair is a nourishing conditioner, leaving hair looking fuller and thicker. Specifically design for coloured thinning hair. With a formula enriched with GlucoBoost and Incell. 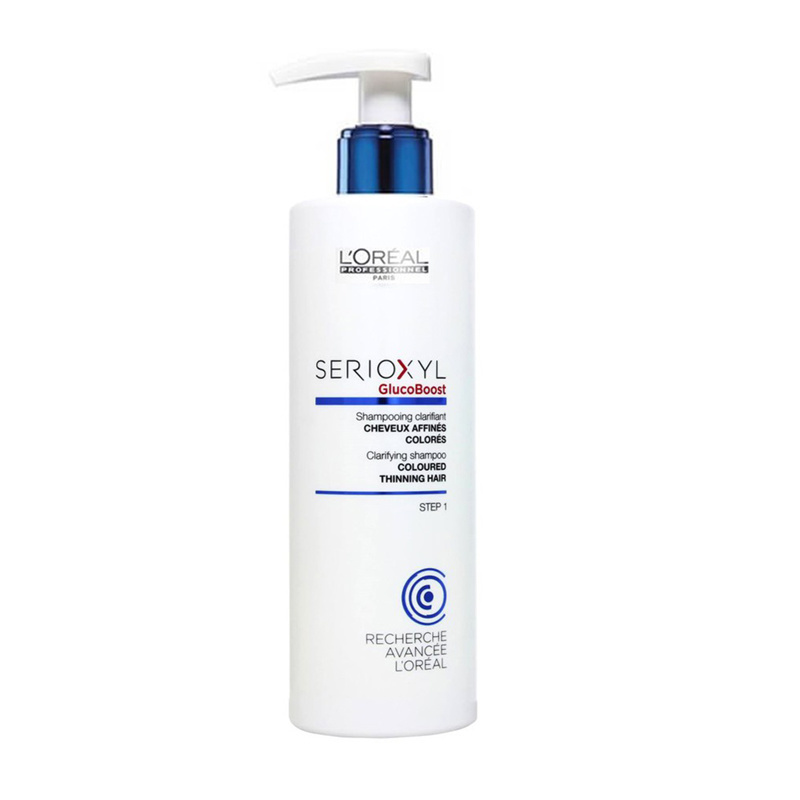 Serioxyl Conditioner 2 - Coloured Thinning Hair cares for the hair fibre without weighing it down, leaving the hair more bodified. The second step in the anti-thinning system. Apply to damp, shampooed hair. Leave on for 1 to 3 minutes. Rinse. Lifts the hair at the roots for a volume boosting effect. On towel-dried hair, make 4 partings from front to back. Beginning with the first parting, apply a walnut-size amount of the product from the start of the parting and distribute it evenly along the parting. Repeat this step on the other partings to cover the entire scalp. Comb the hair to take the product evenly through the hair lengths. Do not rinse.